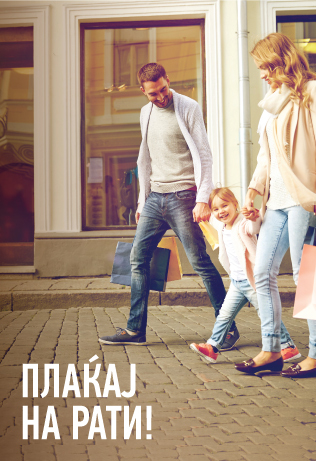 Spend and save with the new product of Halkbank AD Skopje! E-Savingbox is a simple way of saving with the daily use of MasterCard Debit Contactless card from Halkbank. With each transaction made with this type of debit card on every POS terminal and virtual POS terminal of any bank, a certain amount increased above the amount of the POS transaction will be transferred to your special savings account (designed exclusively for this type of savings). 2. Fixed amount of each transaction made (selection 10,20,50,100 denars). If you are not user already, apply for MasterCard Debit Contactless Card from Halkbank. With possibility of partial withdrawal of the deposit before the maturity date, on the withdrawn amount the Bank calculates interest with interest rate on demand, while the rest of the amount an interest rate according to the contract. At maturity, the deposit is automatically redepositing according to the contract. In the event of early termination of the deposit, the bank calculates interest on demand according to the Bank's Interest Rates.